The return of nice weather is often a mixed blessing. For every open window and lilac scented breeze, there’s a spot, stain or smudge you didn’t notice when skies were suitably overcast. And no-one wants to waste a gorgeous Saturday cleaning when they could be enjoying endless outdoor festivals, parades, and activities. But what if you could (net)work while you play? 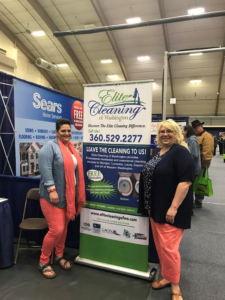 Scottiejo McNulty and her Elite Cleaning of Washington team often attend city-wide events with detailed information, house-cleaning tips and tricks, prizes and answers to questions galore. Recognized a Thurston Green Business, Elite Cleaning of Washington will start their seventh year in June. 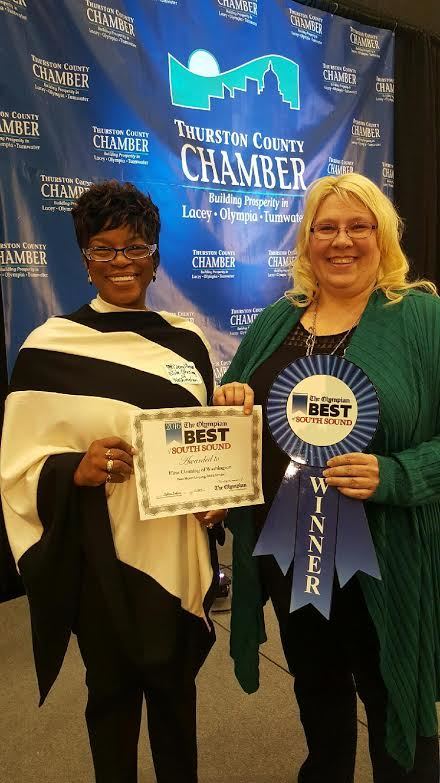 To both meet new neighbors and give back to the community that awarded them Best of the South Sound honors four years in a row, they support such events as the South Sound BBQ Festival, the Olympia Master Builders Home and Garden Show, and Raise for Rowyn fundraising auction. McNulty estimates she donates between 20 and 30 gift certificates each year, all benefitting local groups and charities. When not representing the company via a booth or sponsorship, she and her staff put their hard-earned skills to good use. 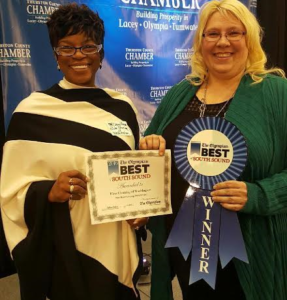 This past summer they helped the Olympia Master Builders by cleaning between Chefs on Tour and the Tour of Homes showcase judging. With a philosophy that no job is too big or too small, Elite Cleaning can handle whatever your schedule requires. Whether it’s regular weekly maintenance or a thorough move-out deep-clean, their in-person inspection and high quality standards mean your sunny days can once again be dedicated to family, friends and fun. Use their website or call Scottiejo or her assistant Cheryl at 360-529-2277 to arrange for your free estimate. Your loved ones—and sanity—will be glad you did.